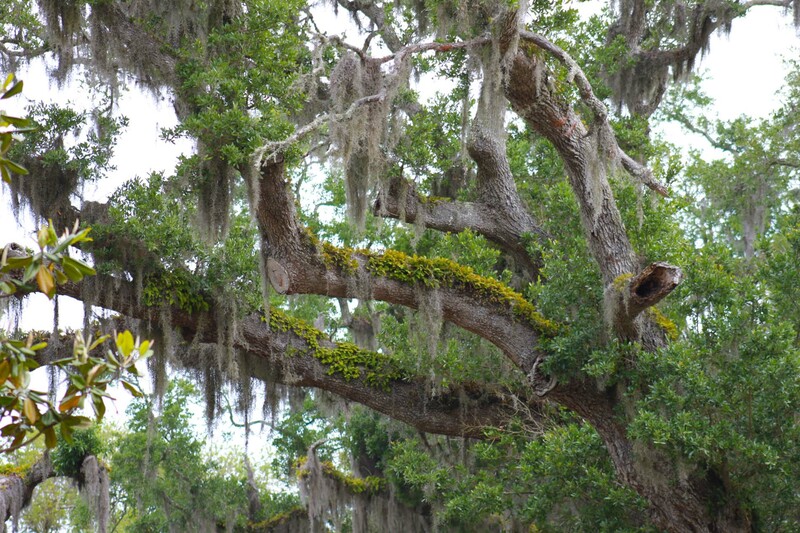 Dave Scott Blog This Is Not My Mother’s World! This Is Not My Mother’s World! Not once did I ever hear my Mother swear. My widowed mom was no prude as her aptitude at poker, the horse and dog tracks, Jai Alai fronton and more contributed to paying the rent and buying groceries, and booze led to her untimely death at 64. However, profanity was not one her of vices. I shamefully learned as a kid that its use was unacceptable in her presence. Her revulsion of coarse language was inherent as her pious Quaker mother, the widow of an Ontario farmer, also enforced a no swearing policy. However, it was her mother, who in an attempt to entertain four fatherless children, led unwittingly to schooling a quartet of siblings highly skilled in the game of poker. My mom’s father died of blood poisoning at 39 leaving her mother alone to raise four kids and run the family farm in an era without a welfare state. The only social net was work. There was no radio or TV, and money was in short supply. To entertain her kids my grandmother came up with a clever and economical way to involve the entire family. She purchased a few decks of playing cards and an “According to Hoyle” book, which contained the complete rules for every form of card game from whist to cribbage and bridge to poker, plus many, many more. 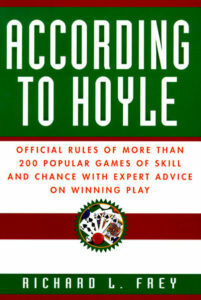 Despite the fact Edmond Hoyle, who died in 1769, never heard of poker, to this day there are books of instructions and rules for card games, including poker and others published under his name. The four Holcombe kids learned every game in the book bearing Mr. Hoyle’s name. Even though my Quaker grandmother’s strategy to entertain her kids was highly successful, it had unintended consequences. There wasn’t a card game known to man these four couldn’t play, and play very well. As they matured it was poker they preferred. The four siblings became formidable and highly skilled players, capable of emptying many an unsuspecting player’s wallet. My widowed mom used her poker talents and other forms of gambling techniques to help raise two kids. I never failed to be impressed as I watched her shuffle a deck of cards one handed. However, of the many, many poker games I witnessed in our home, not once did I ever hear my mom swear, even when on a losing streak. She also kept a lid on the bottle while sitting at the table, but made sure there was plenty of booze available for the other players. As a result of the no swearing policy I grew up using words and phrases such as “Geez Louise”, “good grief!”, “darn” and “holy cow” to express shock, surprise or contempt. I still do. I’ve discovered they have impact because listeners aren’t expecting them. They get attention. I’ve never been chastised for not swearing. But I have been for doing so. All of this brings me to our current scatological environment. I can’t think of many television shows today that I would be comfortable watching with my mother in the room. And as far as movies go, the only dirty word today appears to be “censorship.” Newspapers and news magazines have opted in with “adult language” quoting actors, athletes and anybody else using words that only a few years ago would have been taboo in the media. And rap? Don’t even go there. Politicians are certainly not immune. Our President is one of the worst offenders. And the left’s response to Mr. Trump’s crude talk is a revision of the old maxim: “When they go low, we go lower”, becoming cruder, and more inflammatory than the man they accuse of massive incivility. While the left proposes that their hearts are always in the right place, their expletives are all over the place, lowering the decency bar to ground zero. Nowhere is this more prevalent than among the Hollywood crowd which has proven the old proverb that wrestling with a pig gets both parties dirty, but only the pig enjoys it. Samantha Bee, Robert Di Nero, Ashley Judd, Madonna, Michelle Wolf, Howard Stern, Bill Maher, etc. are a few of the wrestling celebrity pigs….squealing and oinking at each other with delight as they wallow in the muck of their profane and nasty world. If any of these Hollywood type’s that the media consider erudite political scientists popped up on one of the unfunny late night shows or the pompous NPR airwaves and said: “Doggone, gosh” and “gee whiz”, I just don’t understand how this administration can (insert anything the current administration has done, is doing or plans to do)…” I think they would probably generate more headlines than by spewing their customary string of vile oaths. Perhaps since they lack logical arguments profanity is all they have in their rhetorical arsenal. 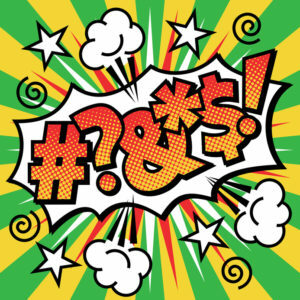 Profanity is so ubiquitous today it’s lost its ability to shock. It appears that the only people entertained by the foul-mouthed Hollywood crowd are their peers who vigorously applaud every juvenile, profane outburst of their pretentious self-righteous colleagues as recently evidenced by the cheering Tony Award’s crowd hooting support for Di Nero’s potty mouth. I’ll give you 10 to one odds that my mom wouldn’t understand anything about today’s vulgar environment, by golly. Amelia Island Loses Another Icon: The first time I met Smoky Coe he was wearing a white Stetson hat and playing with a band on the porch of the old Fletcher Avenue Surf Restaurant, about three or four years ago. I asked this tall lanky Texan if he would play “Put Another Log on the Fire” not expecting much, but not only did he nod affirmatively and politely tip his hat, he and his band lit into that Tompall Glaser tune like they owned it. Marvin “Smoky” Coe, 87, who was born in Cookville, Texas, on December 15, 1930, and bought his first guitar at a pawn shop for $2.50, at 10, passed away here this week. When the Korean War broke out Smoky, like many other young men, joined the Army. Following his military service he married and began a career with Ford Motor Company, but still played with local bands and wrote country tunes while living in Gastonia, North Carolina. While working for Ford, he established “MARCO Recording”, a sound studio , which he owned and operated for 35 years. During that time he became friends with country star Randy Travis, who included one of Smoky’s original songs, “Good Intentions”, on his then new album, “Always & Forever” an album that eventually went double-Platinum, and remains Travis’ best-selling album to date, with more than five million copies sold. 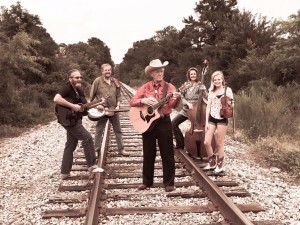 Smoky, who moved to Amelia Island in 2014, had three children – Steve Coe (wife, Connie), John Daniel Coe, Lori Flemming (husband, Ned) and was grandfather to Jane Coe Flemming, who accompanied him at times on the fiddle hereabouts. A memorial service will be held tomorrow, July 7, at Amelia Plantation Chapel at 11:00 a.m.
Unanswered Question Department: How come if you arrive at an airport in the U.S. without a passport you’re immediately sent back to your country of origin, but if you cross the Rio Grande River without one you’re allowed in? Toxic Masculinity? An article I read recently pointed out that an estimated eight percent of Asian men are directly descended from Genghis Khan, making him perhaps the most genetically successful man in history. It appears that until he was stopped by the authorities, Harvey Weinstein was aiming for the Western Hemisphere record, albeit by force, which was probably the case with Mr. Kahn as well. Help Wanted, Great Pay, No Experience Required: The recent Starbucks coffee shop kerfuffle in Philadelphia that saw the arrest of two black men for “loitering” and resulted in the giant coffee corporation’s befuddled CEO Kevin Johnson closing 8,000 company-owned shops to “re-program” some 175,000 baristas, has exposed scores of well paying jobs in a little known field — diversity training. This is a do-it-yourself profession that requires no training or certification and is very lucrative according to all reports I’ve read about it. 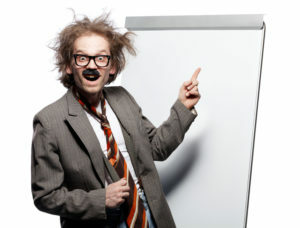 Set up shop, hang out a shingle and nervous corporate executives like the loopy Mr. Johnson will come calling. Time Magazine says the diversity industry is valued at $8 billion while several surveys over the past two decades have shown it to be totally worthless. Recent Harvard studies and Harvard psychologist Frank Dobbin say that diversity training not only fails to make any change in attitudes, but actually creates resentment, hostility and feelings of victimization among those being “trained.” The only thing it apparently does do well is fatten the bank accounts of folks who call themselves “diversity trainers.” Nice work if you can get it. You don’t even have to know how to make a frappe or whatever that stuff is they put in cups at Starbucks. Pesky Facts: According to FBI statistics black men are just 6.5 percent of the U.S. population but they commit 52 percent of all murders and, says a FBI homicide report, 90 percent of blacks that die of murder die at the hands of other blacks. So why doesn’t the left tell the FBI to stop reporting those disturbing numbers? It’s as impracticable and as stupid as the left’s theory that it’s the arrest of kids that cause arrests, not their behavior that leads to arrests. News reports say that the Parkland High School shooter that killed 17 was visited by police 39 times in a seven year period without an arrest. And according to the Broward County school district he was in the Promise Program, a plan created to soften school punishment and reduce student arrests. Liberals never let pesky facts get in the way of their deceitful agenda. 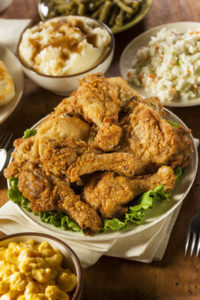 Drinking, Dining & Dancing: A barbeque joint is probably the last place folks would head to for good fried chicken, but 1925 14th Street South Island Bar-B-Que’s (Call ’em at 904/624-7811) Pitmaster Rodney Stubbs has added his special recipe to the eatery’s menu and it is very, very good. This tiny BBQ joint now offers a Monday – Friday lunch buffet from 11 a.m. to 2 p.m. and a breakfast buffet 6 a.m. to 10 a.m. The regular menu is available as well seven days a week. The chicken is a bargain with two pieces of dark for just $7.95 that includes a side and a drink or white for $8.95. An eight-piece bucket runs an economical $13.95. Rodney still makes the best BBQ brisket I’ve found on the island and one of the best east of the Mississippi River. If you want to hear some fine music, dance, meet your neighbors, and just have a good time then you need to get downtown this evening , Friday, July 6, beginning at 6 p.m. for Sounds On Centre, the corner of 2nd Street and Centre, across from the Palace Saloon, to hear the Honey Badgers, featuring, a guy I hear is an up and coming rock star, Hupp Huppman. It’s free. Also free are fans (hand operated) being provided by the Historic Fernandina Business Association say its current president and event master of ceremonies, Chuck Hall. "Oh, Say DID You See......"
I spent four years in a barracks and all I can say is jeezum crow! Actually when my sister and I were young and used vulgar language after our mouths were washed out with soap my mom made us eat quinine. That worked and neither one of us ever got malaria. Dave, You got at least one thing right and that was your acknowledgement of President Trump being one of the worst offenders when it comes to the foul mouth language we are experiencing today. Fact is President Trump didn't start the trend of this language. What he helped to do is perpetuate it and to set an example that it is perfectly OK to accept its use. Yes, many Hollywood celebrities have come out and used foul words with respect to Trump and his policies. Should that have been more civil, yes. It was President Trump however who has lowered the bar of common decency to the point of needing a back hoe to dig it up. Leaders, every leader, be it in politics or the corporate world should set an example for those who look up to them to follow. You can blame the liberals and you can blame Hollywood, but you need to look no further than 1600 Pennsylvania Ave to see the absolute worst example of common decency when it comes to language, ridicule, name calling, and bullying. This doesn't make it right for liberals or anyone to follow the example of the very person and office we should be looking up to for setting examples to help combat this trend. Fact is, not many in public office have ever come close to setting such a poor example of moral decency than our own President. Dave in NY city with a NYPD detective at home and my mother it was all ways without curse words. However ,with my Lithuanian / Polish grandmother there were strings of curse's but they took on meaning's of derision as "Your brains will fall out if you don't shut your mouth. Foul mouths find clean soap" Thanks for your write on Smokey. Another fine person who has been called home. I grew up on a southern baptist family and never heard my mother aunts or grandmom utter anything close to a curse word.My dad however was another story,he could cuss the paint off any surface for miles around.BTW Dave tried your recipe for burgers using the marinade Pirates Gold.wasn’t sure if it was available here in Atlanta but found it at the Publix here in Dunwoody.As you said they were the best I ever grilled and will use this product in other grilled meats. While employed as a charter pilot in Ft. Lauderdale I was commissioned to transport four men to Nassau, Bahamas. The men had stowed away on a Miami bound freighter without the appropriate documentation. Since the ship captain had brought them to this country, per immigration law, it was his responsibility to return them to their point of origin. Can you imagine the financial obligation of those coyotes delivering folks to our southeastern borders ? Dave, my wonderful father-in-law (no longer with us) used to say "gosh, doggone, gee whiz, you all, I swear". He was a class act!! It is a shame soap can't be used anymore for the filthy mouths out there - oh right, that would be torture and a law suit would ensue!! tonight is Sounds on Centre concert, thanks Dave. and yes, we have some cool fans to give away! Like you, I can't recall either of my parents ever uttering a profanity in front of us during their lifetime. My Dad did use the phrase "how in the Sam Hill" from time to time but that is as close as it got. Then there were always our giggles in church when there was a Bible reading that referred to a jackass. Dave: Watching Donald last night at a rally in Great Falls Montana and cringed a bit when he referred to someone as a "schmuck". I'm certain Donald knows the origin of the word but suspect not many in that crowd did when they cheered. I thought "Holy smoke, in Montana!"